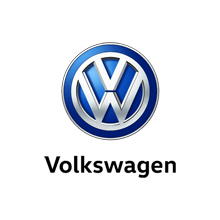 If you’re looking to buy a reliable used Volkswagen at a great price, with a great range of cars to choose from, then Drift Bridge Volkswagen is the place for you. From our Epsom showroom, we are proud to supply customers across Surrey, the South East and beyond with quality Approved Used vehicles at highly competitive rates. Whether you’re seeking a used Volkswagen Beetle with iconic styling, or an executive-style Volkswagen Passat, we have a wide range of pre-owned models in stock to meet a host of needs and lifestyles. There’s no shortage of choice either, as our selection changes frequently. Because we know reliability is important to our customers, we make sure that all our second-hand cars come with Approved Used status. That means that every vehicle undergoes a thorough, 360-degree check by our manufacturer-trained technicians before it lands on the forecourt. You can rest assured that you’ll drive away with total confidence in your car of choice. Don’t forget to check out our online valuation tool – it’s easy to use, and the perfect way to work out what budget you have to play with for your next Volkswagen purchase. If you’re like to trade in your vehicle for something different, we can offer part-exchange deals against your old car. Do you already have a particular Volkswagen model in mind? Check out our current range of pre-owned models online today by clicking on one of the models listed below. If you’d like to discuss buying an Approved Used Volkswagen with a member of the Drift Bridge Volkswagen team, you can make an enquiry online, give us a call, or visit our Epsom showroom in person during opening hours. Drift Bridge Garage Limited is a broker and not a lender and can introduce you to a limited number of lenders, who may pay us for introducing you to them. *At the end of the agreement there are three options: i) pay the optional final payment and own the vehicle; ii) return the vehicle: subject to excess mileage and fair wear and tear, charges may apply; or iii) replace: part exchange the vehicle. With Solutions Personal Contract Plan. Minimum balance to finance £5,000. Maximum mileage at end of contract is 120,000 miles. 18s+. Subject to availability and status. T&Cs apply. Offer available between 11th – 31st October 2018 on used car sales between 90 days and up to 5 years only. 2 years’ warranty is valid for vehicles not exceeding 100,000 miles at the start of the Warranty. MOT Cover is underwritten by UK General Insurance Ltd on behalf of Great Lakes Insurance SE and administered by Lawshield UK Limited. Excludes electric vehicles. Participating Retailers only. Indemnities may be required. Offers are not available in conjunction with any other offer and may be varied or withdrawn at any time. Accurate at time of publication 10/2018. Freepost Volkswagen Financial Services. †Covers next two consecutive services limited to 1x minor and 1x major service.